On October 15, 2018, the Montana Department of Transportation (MDT) conducted an underwater inspection of a bridge located on Convict Grade Road, crossing the Shields River (MDT Structure #03819). The inspection revealed a large scour hole beneath the center concrete pier. This finding caused MDT to close the bridge to all traffic on October 16th, 2018. A temporary detour bridge was opened to traffic with a 10 ton Load Limit on October 31st, 2018 and the replacement of the existing bridge is underway. Tuesday April 9th, 2019: The contractor has been working as weather allows installing riprap on the west side of the crossing underneath the permanent crossing. The weather and additional provisions for high water given present water level trends on the Shields River have complicated the installation of the temporary work bridge. Additional information will be posted as soon as it is available. Wednesday, March 27, 2019 : The contractor has removed the existing center pier and abutments for the old bridge. The temporary detour bridge washed out at the east abutment due to un-forecasted high water on the Shields River Monday evening March 25th, 2019. The contractor removed the temporary bridge from the river on March 26th. 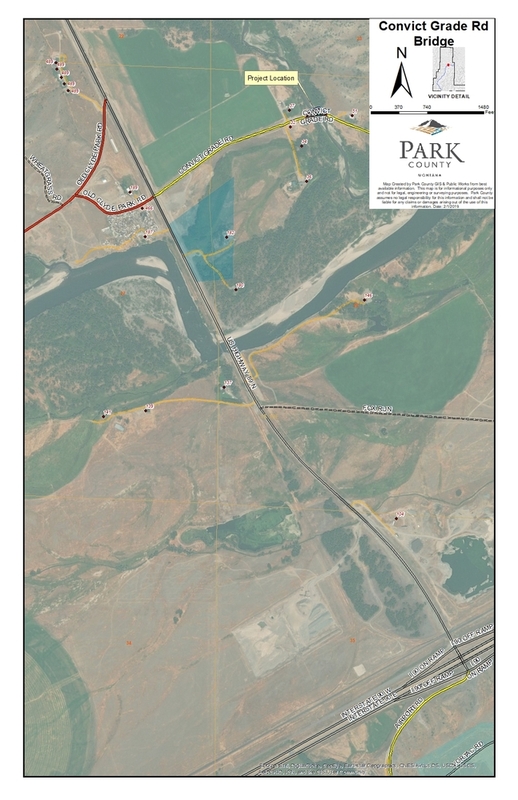 Today CenturyLink completed temporary utility relocation.Park County is currently working on local access alternatives; however, at this time the only access is via Convict Grade Rd from Springdale. Upcoming work includes gravel hauling and grading to improve the detour route to Springdale by Park County. The contractor will be installing a temporary work bridge, completing abutment excavation and installing riprap underneath where the future bridge will be located.The contract for the work is 90 calendar days beginning January 31st, 2019 with substantial completion on May 1st, 2019 and provides for weather days. Permit requirements allow for in-stream work until May 15th.